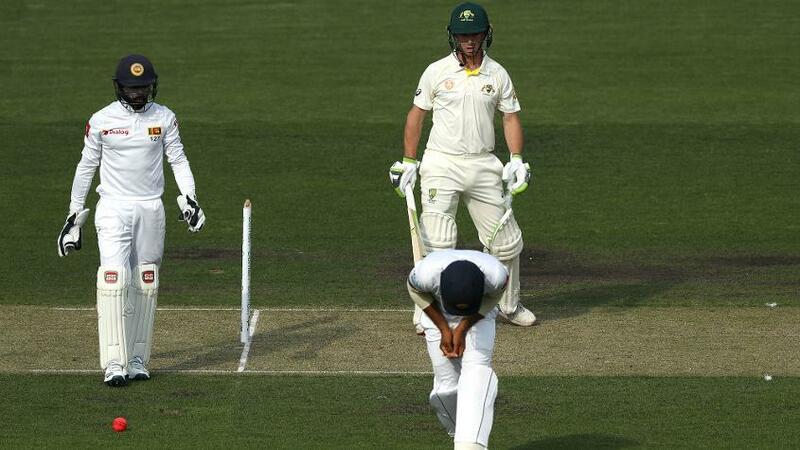 Sri Lanka had a major injury scare ahead of their two-Test series in Australia when Kusal Mendis copped a blow on the right hand during the tour match against Cricket Australia XI, but scans have revealed nothing serious. A sweep shot from Jake Doran hit Mendis straight during the second session of the day-night encounter, and he had to leave the field for treatment. However, after an X-ray, it was confirmed that there were no fractures. "We took him for an X-ray in the morning and it showed that he was fine," Sri Lanka team manager Jeryl Woutersz said on Friday, 18 January. "We're not sure if he will bat yet, because the finger is quite sore. But he's okay." Mendis has been in prime form for Sri Lanka, accumulating 1023 Test runs in 2018 at 46.50, which included scores of 141 and 67 in New Zealand. The news will come as big relief for the management. However, there's another injury cloud hanging over Nuwan Pradeep, who walked off the field after bowling just two overs on Thursday. He is expected to go for scans on Friday before a call is made on his participation in the series. CA XI declared their first innings on 316/5 even as indiscipline crept into the Sri Lankan bowlers – they bowled 12 no-balls, eight of which were sent down by Kasun Rajitha. "It's a big concern," said Chandika Hathurusingha, the Head Coach. "We need to get that right because it's happened to us again. The spinners also bowled no-balls in the England series and we got wickets off no-balls. We need to get it right soon. Despite going without a win in New Zealand, @chandi_17 thinks Sri Lanka have a good opportunity to do well against Australia, even with the absence of Angelo Mathews. "It's about being aware of the line right in front of you, basically. They are trying a bit too hard when the ball gets softer to get the ball through. It's a mental thing so they need to adjust knowing they have to stay back." The first of two Tests, a day-night affair, begins in Brisbane on 24 January, followed by the second Test in Canberra from 1 February.